Cutting all types of steel up 6”. Cast iron base to give increase rigidity of machine. 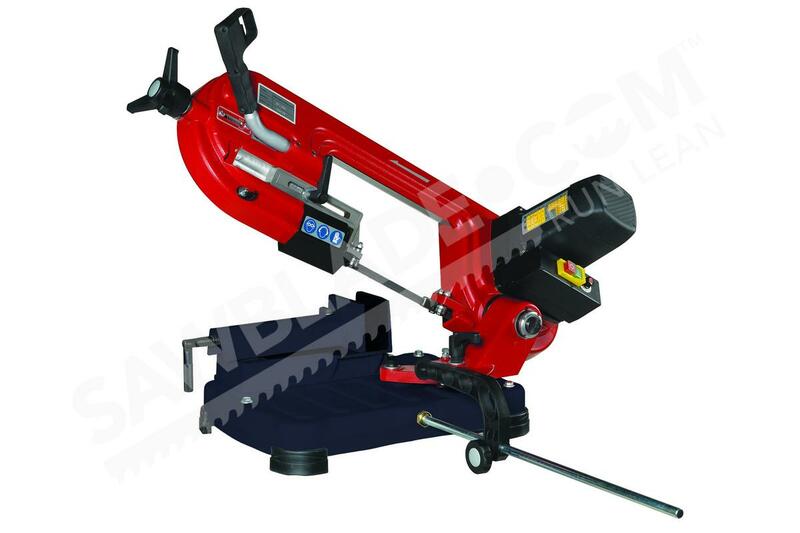 The Trajan 150 band saw is a robust portable cutting machine. We specifically engineered the 150 to make precise cuts without requiring a massive base. It’s ideal for when operators need to take a saw to an on-site job. 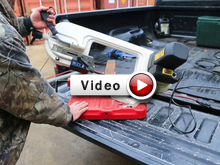 A lightweight build means this band saw is easy to carry from location to location. Despite it’s small size, the Trajan 150 band saw has a powerful motor. This cutting machine features a simplified blade tension and doesn’t need any coolant lubrication to function. It’s quick to set up and easy to use in many situations. The Trajan 150 can be calibrated to the exact cutting angle that the operator requires — anywhere between 0 and 60 degrees. It also has an electronic blade speed regulator. An arch-blocking device makes the Trajan 150 simple to handle and maneuver. Trajan saws are designed by experts in the metal sawing industry. We’re familiar with the variety of obstacles that operators need to overcome throughout their work day. Jobs can take you to a whole range of locations and the Trajan 150 can come with you.